Comments: This and other sasanquas make excellent privacy screens. Growth may be moderately slow for the first year or two after planting, but plant growth is quite fast after becoming well established. Hedges can remain unclipped and natural or they can be clipped. 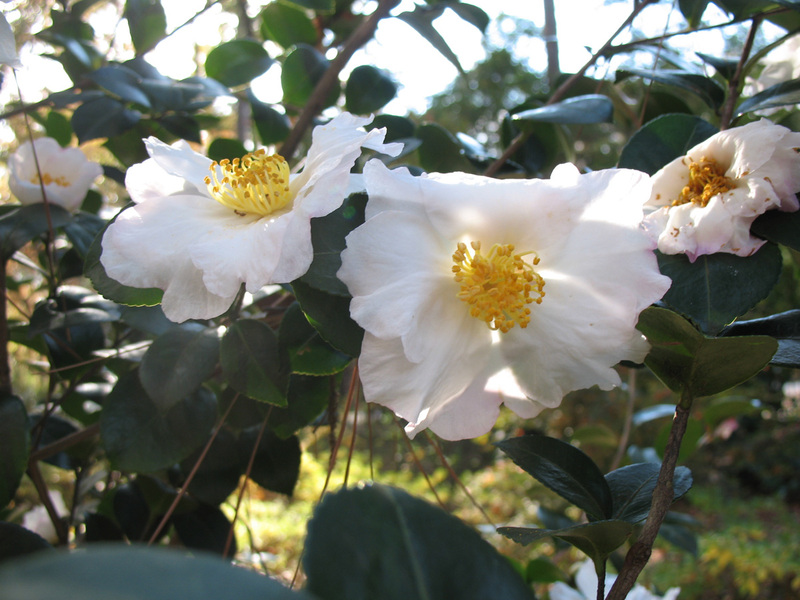 This is is an excellent white flowering cultivar with dark green foliage. Pests include tea scale and leaf gall.